"Offers longevity, durability, and great temperature control." "Efficient setup that is easy to install along most baseboard styles." "Makes it easy to set and maintain the desired temperature." 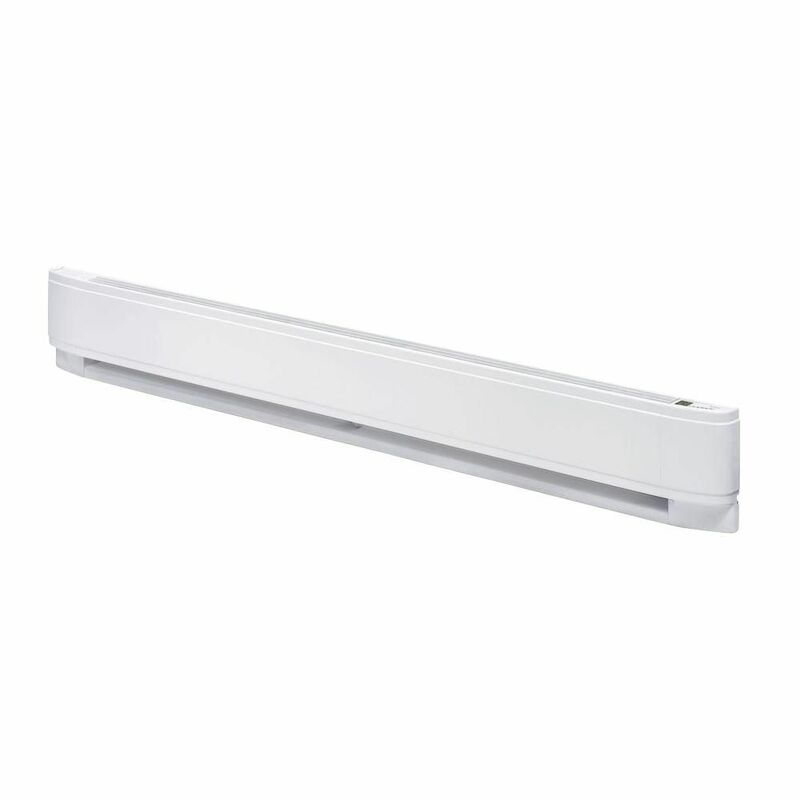 "A versatile baseboard heater you can use in a variety of spaces." "Allows you to maximize performance or energy efficiency." "Small and budget-friendly...without sacrificing reliability and performance." "The design is simple enough to blend in with a variety of paint colors." The best baseboard heaters manage to heat the desired space size without wasting too much energy. Since many baseboard units waste energy and heat when made with poor heating elements, it is important to find a high-quality option made with parts that are meant to last. The top pick on this list offers longevity, durability, and great temperature control. The Dimplex Convector Heater uses a 2,500-watt heating element made of nickel-chromium spanning 60 inches in width to heat the surrounding area. As a result, the design is more efficient than other options without sacrificing heating performance. The surface of the heater is sleek and modern, blending in well with most modern baseboard styles for a continuous, unified look. What we love about this unit is that has a built-in thermostat so you don't need to buy a supplemental one to control the temperature, although you might still want to. At its size, this unit isn't ideal for a small room since it will heat it up too fast. Smaller baseboard heaters using convection heating elements are great, affordable options to keep rooms around the house warm. It can be difficult to find the right budget heater if you need something around five or six feet, but the Cadet Electric heater spans a full 96 inches using a simple and efficient setup that is easy to install along most baseboard styles. This budget heater has a reach of up to 350 square feet with a quiet and energy efficient convection heating element. The unit has a multi-watt feature where you can select between 2,500 and 2,000 watts when powered with a 240-volt connection. An internal high-temperature safety switch deactivates the heater if things get too hot, preventing possible fire dangers before they become a hazard. What we love most about this affordable baseboard is that it comes with a lifetime guarantee so you'll be protected for the long haul. If you are interested in heating your home or a room in the most economical way possible, an electric convection heater is the way to go. Using heating coils that are similar to the inside of a toaster, these baseboard heaters warm up the surrounding air as it circulates through the room. They also cool down rather quickly, reducing the chance of fire if something goes wrong. The Ecotronic 1000W is a convection baseboard heater with built-in control conveniences such as a heat limiting thermostat and auto-shutoff switch. Internal wires heat up rapidly using the 1,000 watt heater and work with any standard 120 volt power connection. The built-in thermostat makes it easy to set and maintain the desired temperature without a separate control unit. While convection baseboard heaters are the most common type for people looking to save some money, they suffer in performance when you want to retain heat. Hydronic heaters, on the other hand, use a water or oil to keep the heat around longer, meaning you can use less energy to heat up the same space as convection options. But they often cost more upfront. The Fahrenheat PLF1004 is a versatile baseboard heater you can use in a variety of spaces such as a bedroom, bathroom, or open living space. Using a hydronic heating element, the heater works quickly to get a small space up to the desired temperature without the power usage of most modern electric options. The heater uses its own heat transfer liquid, keeping maintenance down and reliability up. Most baseboard heaters are not the most energy efficient since heat gets wasted through the air at a fast rate. 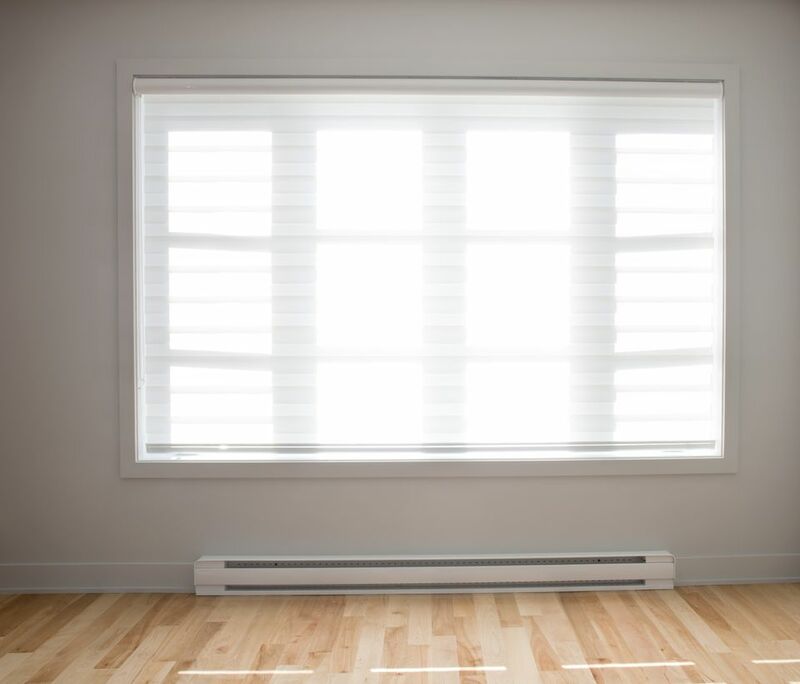 To minimize this waste, good, energy-friendly baseboard heaters have efficient heating elements and some flexibility when it comes to choosing the wattage it uses to work in the first place. As a dual wattage electric baseboard heater, the ​Fahrenheat FBE15002 allows you to maximize performance or energy efficiency all on the same 120-volt power connection. Using either 1,500 or 1,000 watts, the device is quiet and efficient in most small bedrooms and living spaces. The built-in thermostat is easy to set, controlling the device and keeping it at the desired temperature automatically. Compared to space heaters, a good baseboard heater is perfect in a small space when you are looking for something that blends in with the surroundings. Since baseboard heater sizes are proportional to the spaces they heat, it is best to find a smaller heater when space is limited. A two-foot theaters, for example, are perfect for smaller bedrooms, hallways, and other living areas that do not require a lot of power to heat. Small and budget-friendly, the Cadet 24in baseboard heater is one of the smallest options you will find without sacrificing reliability and performance. At just 350 watts, the heater is meant for spaces up to 50 square feet in size. As a result, it is best used in tandem with other baseboard heaters or heat sources where you just need a little boost in temperature for the space. A good baseboard heater is an economical way of heating a small space. With that said, it is important to find the right one that matches the size of the space and your heating needs. While it is easy to find smaller heaters in the range of a few feet, longer heaters that do not waste heat and energy can be difficult to find. Thankfully, the N 8ft heater gets the task done while offering a large amount of heating area. This baseboard heater evenly distributes heat along a long surface area using its electric hydronic heating element operating at 2,000 watts. The heater is easy to install and includes an optional remote controlled thermostat for quick use anywhere in the room or home. The design is simple enough to blend in with a variety of paint colors and interior decor styles.